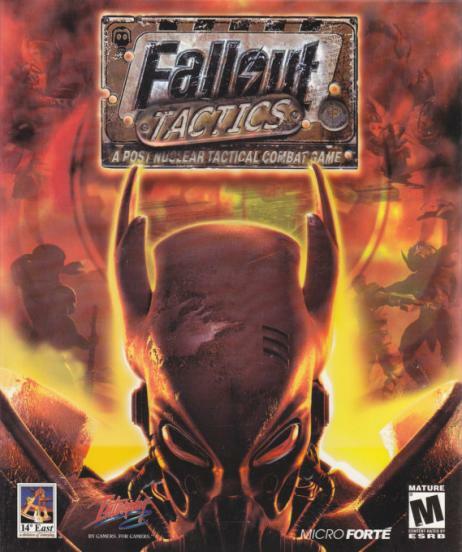 GB: How did you get involved with Fallout Tactics? Ed: I did some design on Micro Forte's previous title, Enemy Infestation. After EI, the team in Canberra worked on a demo for an unpublished game with the hopelessly-generic title (Chimera Project). Although Chimera didn't go anywhere, Interplay saw the engine and approached us to make Fallout: Tactics. I was a fan of Fallout 1 (not so much 2, although I did play it through) and I got offered the opportunity to be Lead Designer. GB: Could you talk about your role during the game's development and what exactly was involved in that process? Ed: I was Lead Designer and Associate Producer. Although I had some responsibility as the Associate Producer, our Producer (Tony Oakden) was in charge of scheduling and the overall project. I only really had to wear my Associate Producer hat before we had Tony (we went through one other producer before Tony came on board), or when Tony was out of the office visiting Interplay in the U.S.
As for Lead Designer, that meant I was responsible for all the usual designery things: pitching ideas, liaising with the publisher, creating game mechanics, documenting the design, writing story and dialogue, communicating the design to the team, creating levels, providing briefs to the artists, editing entities, balancing, etc. But as it was my first Lead position, I think it's fair to say that I relied heavily on the other leads and the team to get stuff done. GB: What is your most stressful memory from the development of FoT? Ed: The most obvious one that springs to mind is the day half the development team was retrenched, right after we went gold. The whole thing was handled very poorly and it just sucked to see the people who had worked so hard be let go. But here's another one. A few months into the development process, myself, the lead programmer Karl and our producer at the time went with John DeMargheriti (head of Micro Forte) to visit Interplay and discuss the project. Only once we got there did John realize how violent Fallout was and John didn't like violence. So the night before we meet Interplay, it's suddenly starting to sound like the whole thing will fall through. Keep in mind that contracts have been signed, staffing plans submitted and recruitment begun. Anyway, the meeting went ahead, and somehow the project kept going (although it was because of this meeting that children were removed from the game). Finally, for one that was all my fault, when we put together the first demo there was this realization that it just wasn't any fun. It was one of those points in a project where all the pieces have been built, but it's not gelling at all. We had a series of very intense meetings (in particular, I remember essentially redesigning the tactical combat with Karl), and got back on track. GB: Are there any particular design choices that you feel worked well (or didn't work well) in Fallout Tactics? Ed: From a designer's perspective, I'd have to say the implementation of Continuous Turn Based mode. It was totally experimental, but I still think it was a reasonable solution to bringing a turn-based game to a real time audience, part of what Interplay had asked us to do. My least favorite part is the dialogue. I was never really happy that we'd captured the spirit present in the previous games. Too much toilet humour.